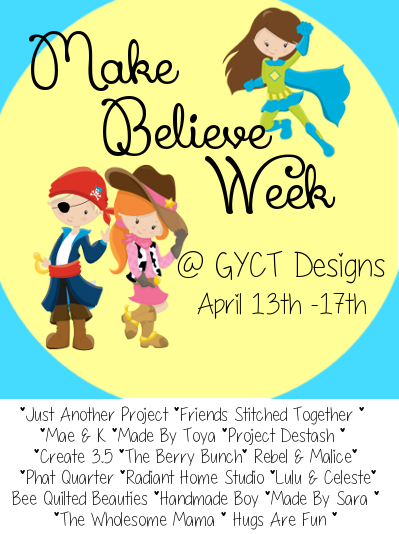 Today for Make Believe Week we have some more fun projects and tutorials for you. If you missed Day 1, go HERE to see all the fun projects. Now let's check out the fun for today!! 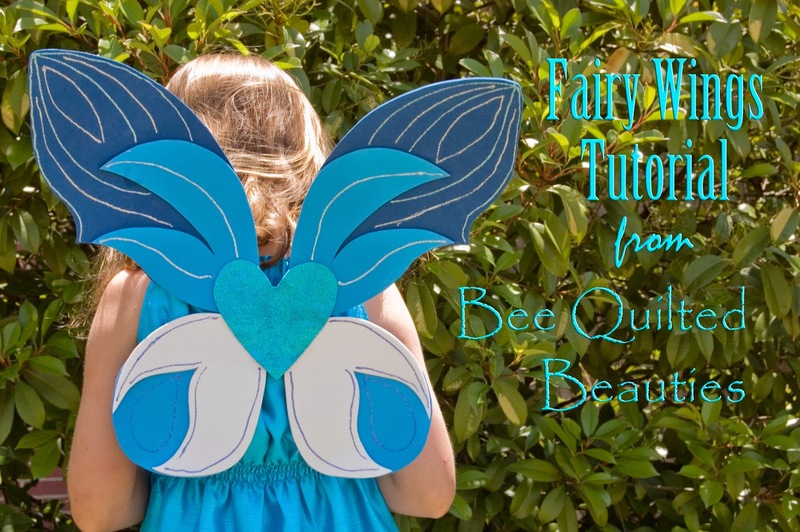 Krista from Bee Quilted Beauties has these super fun Fairy Wings. I can just see little people across the globe making their own wings. Pretty sure my Little Miss is going to be obsessing for a bit. Next, we have Maegen from Mae and K. She is sharing her shield and sword. Her almost 4-year-old son is really starting to get into dress up and make believe. She found him a toy wand for 50 cents at a thrift store and he's constantly turning mommy and daddy into frogs and horses. Because her son Mack loves his Knight Hoodie so much, she decided he needed a sword and shield to go with it. Check out her blog and grab the free pattern. Finally, we have a Free Superhero Cape Pattern and Appliques just for your little superhero right here at GYCT Designs. Don't forget to come back each day this week for even more fun projects!!! And check out our other great bloggers participating in this fun week!